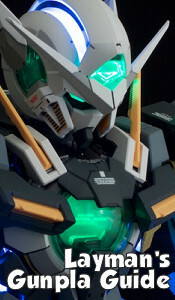 Episode 02, "The False Playmaker"
Synopsis: Professional footballer (that's soccer player for Americans and Japanese) Mario Brozzi has a problem. Not only does he need to dope to get an edge in the game, but gangster Riccardo Mondini has blackmail on him concerning that doping. 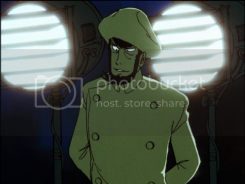 "San Marino's treasure" Brozzi seeks out the help of Lupin and the gang to steal the photos and records that would indict Brozzi from Mondini, who owns a rival team. Can the world's greatest thief assist the nation's favorite player? What does MI6 have to do with this? And is the carbonara any good? 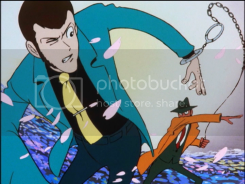 A sly gambit and spirited car chase is all in a day's work for Lupin III! 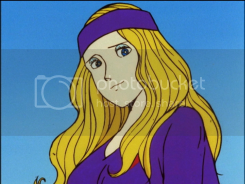 Episode 03, "Farewell, My Beloved Witch"
Episode 02, "The Man They Call A Magician"
Synopsis: Fujiko is being pursued by a mysterious and dangerous man, Pycal, who she stole something from. 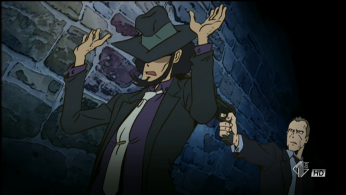 Lupin and Jigen struggle to protect her, but Pycal appears to have strange powers, including being immune to bullets, levitation, and shooting flames from his finger. 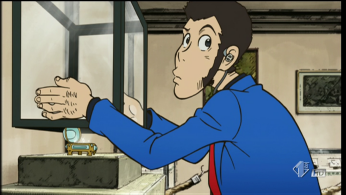 Though Lupin discovers the secrets behind Pycal's abilities, he appears to fall to his death. 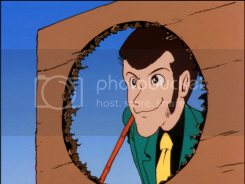 But Lupin is clever and turns the tables, using the very same techniques as Pycal to gain an advantage. Pycal is overwhelmed and his secret formula goes down in flames along with him. Episode 01, "Is Lupin Burning...?!" 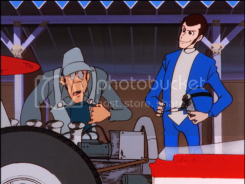 Synopsis: Lupin III participates in a suspicious Formula One-style race. 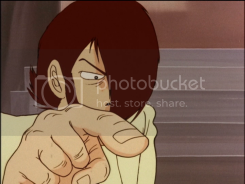 The race is a trap from the Scorpion crime syndicate to destroy Lupin and dominate crime in Japan. 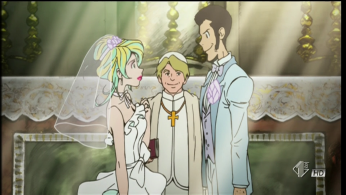 Lupin's operative, Fujiko Mine, is captured, and he has to switch places in the race with his ally Jigen so he can rescue her and confront the organization's boss. 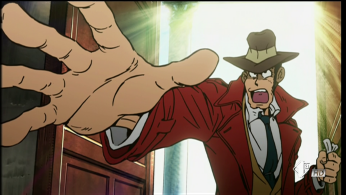 All the while, Lupin is pursued by Inspector Zenigata, dogged chaser of Lupin. 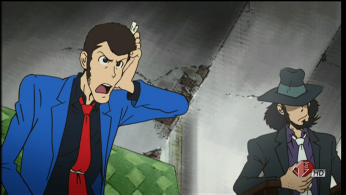 Lupin manages to destroy the Scorpion group's headquarters and race track, but Fujiko betrays him to the law. 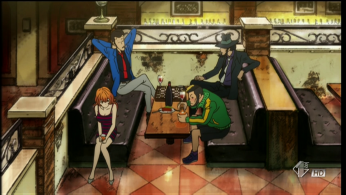 Lupin manages to slip away, and shows Fujiko that there's no hard feelings.